After he put on his pjs I tried on his outfit. I scaled the armoire in ohiophotogrls bed room. I think I’m going to have to order one of these suits. I love having so many friends. Thank you all for joing me in my many adventures. This entry was tagged blog, friend, kid friendly, laugh, Mr. 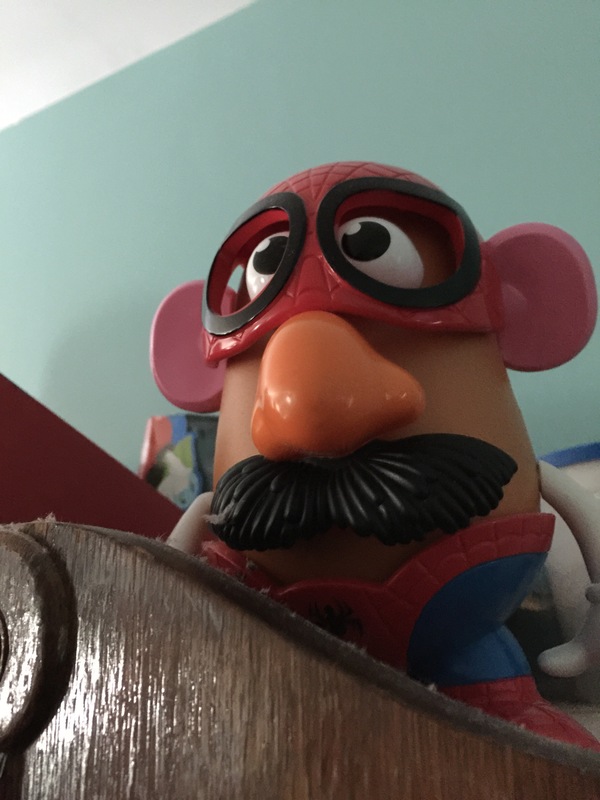 Potato Head, sleepover, spiderman, spidey spud, toy art. Bookmark the permalink.